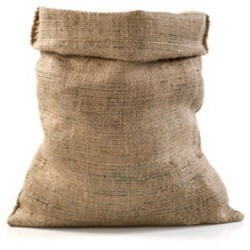 We are offering Jute Onion Bag to our Client. Eco Non Woven Vegetable Bag with 6 Pockets for Purchase Vegetables, Multi Pocket Grocery Bags Large Canvas Cotton eco Friendly Multi Compartment Shopping Bags. Onion Packing Bags being permeable allow the air to pass through the bag which help to keep the the product fresh. With their low weights and cost effective nature, they provide a superior packaging alternative to other material. Our Leno bags are developed to the highest standards of quality and exhibit a high level of flexibility and efficiency and can carry loads of over fifty kilograms. We offer good quality vegetable bag to our customers. The packet is used for packing the potato's at the time of producing in the field. The packet is highly demanded and it is also re-used.currently we are manufacturing the 5 kgs.packet & 20, 50kgs packets.or we also making any size of the packet as per client demand.